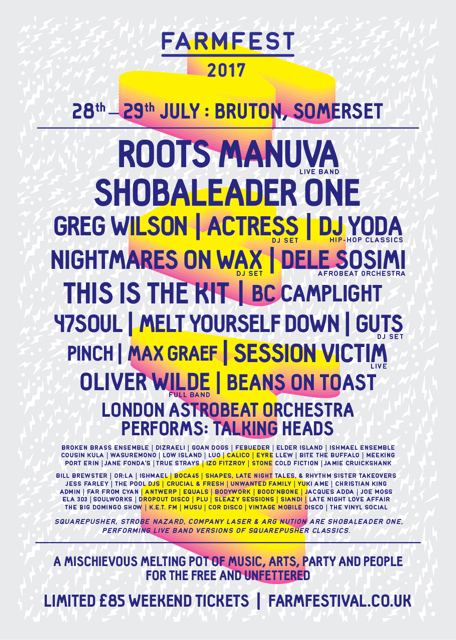 Roots Manuva joins previously announced headliners Shobaleader One, Squarepusher’s live band performing jazz funk versions of Squarepusher Classics, plus This Is The Kit, Nightmares on Wax, Greg Wilson, Actress (DJ Set) and more for this year’s FarmFest, which takes place at Gilcombe Farm, Bruton in Somerset between 28-29 July. Apparently described as one of the most influential artists in British musical history, he possibly remains at the pinnacle of the UK hip hop scene some 18 years after debut album ‘Brand New Second Hand’. The headline slot will see a full band performing tracks from classic albums such as ‘Run Come Save Me’ and ‘Slime & Reason’, and will no doubt include dance floor track ‘Witness (1 Hope)’ – a track that may well send the crowd into a grime-groove frenzy. The show will also feature plenty from latest album, 2015’s ‘Bleeds’ – a darker, more brooding affair. Due to an unforeseen European booking error – a circumstance that’s apparently out of the festival’s hands – Farmfest is disappointed to have to announce that Tony Allen will no longer be performing at this year’s festival. 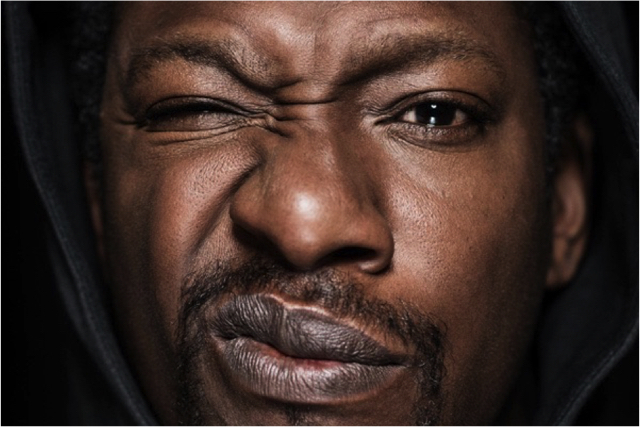 But we are thrilled to welcome Roots Manuva instead for what promises to be both a powerful and memorable show, and one befitting of a headline slot under the stars on the farm.